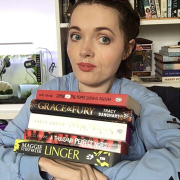 Welcome to the final Belfast weekend away related post and probably my favourite of them all, my toy haul! 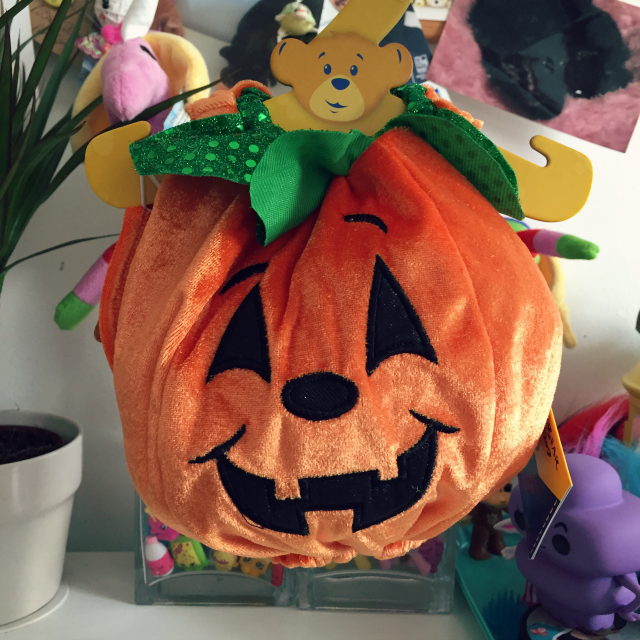 I already did a haul post for the stuff I bought from Lush and Primark, which you can find here. 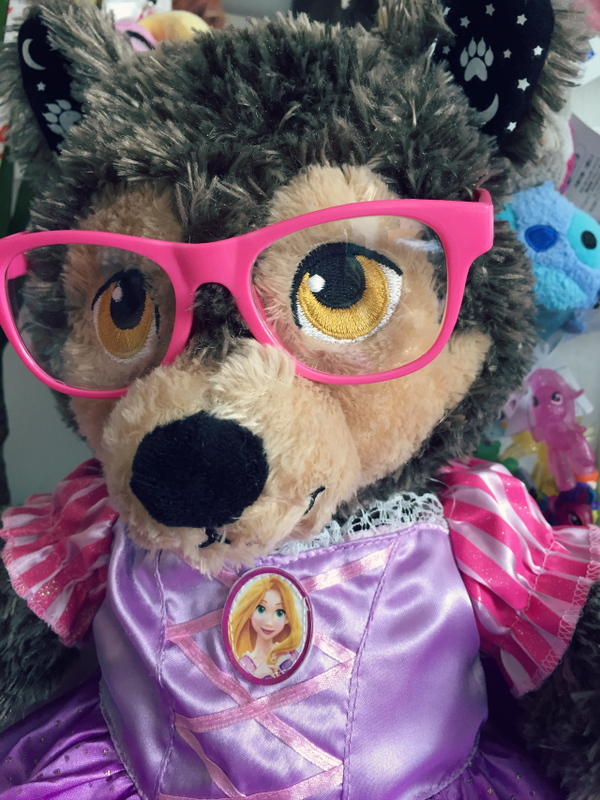 I bought toys from Forbidden Planet, the Disney Store and Build A Bear. 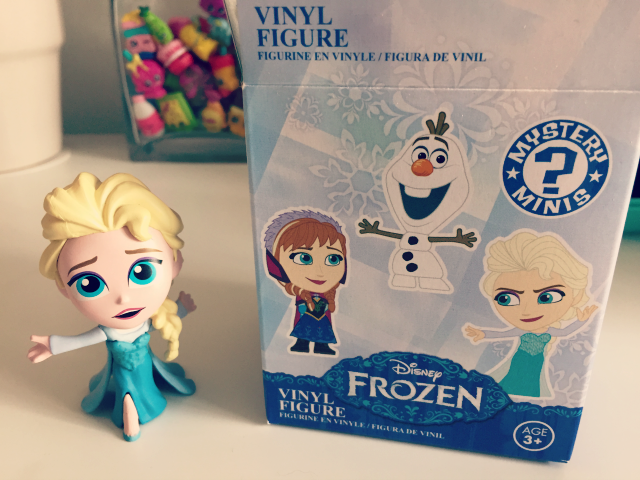 I had hoped they would have My Little Pony blind boxes but sadly they did not and therefore I ended up getting this Frozen mini Funko blind box. 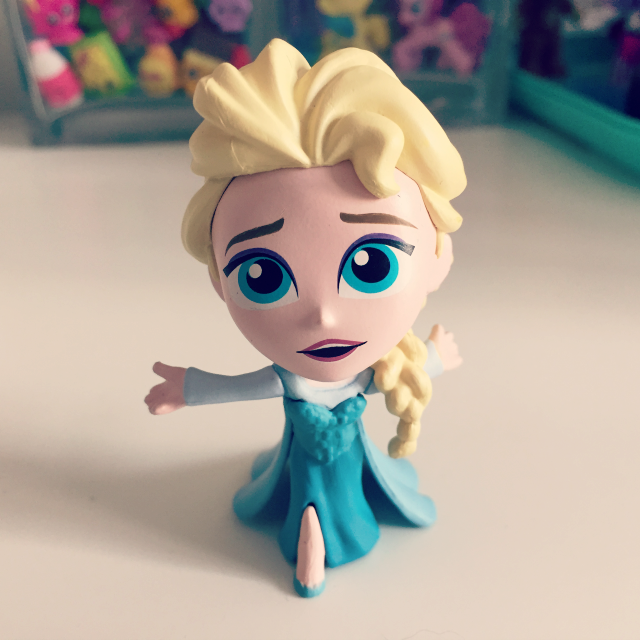 I got an Elsa figure. Not exactly the one I was hoping for but she's still pretty cool. Eva got the child Anna that s sitting playing with two little dolls. 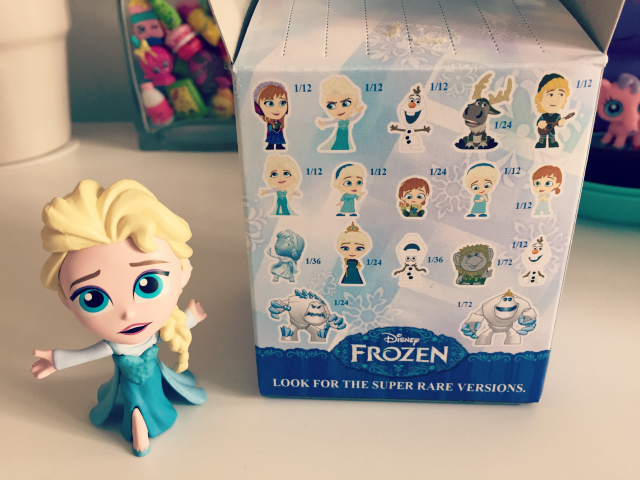 I also wouldn't have minded child Elsa, Sven or Kristoff. 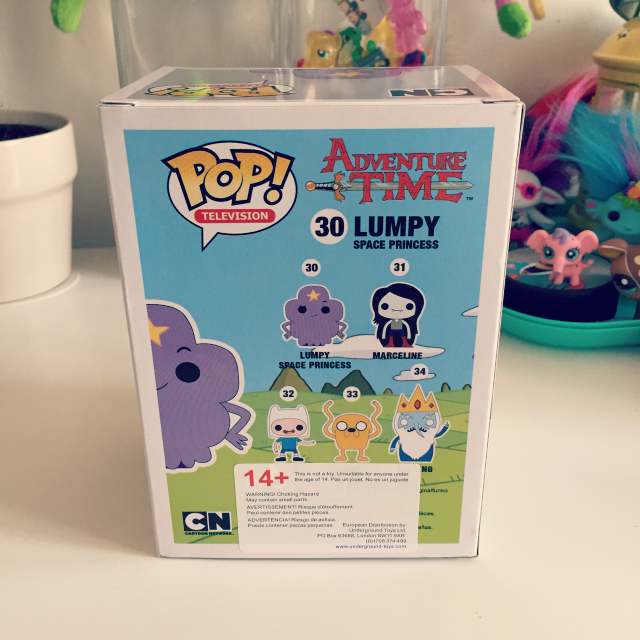 I think these were £7.99 each which I feel is a little steep for a blind box as there's a chance you'll get a duplicate. That aside I think they're awesome. I love anything mini and they are great quality. 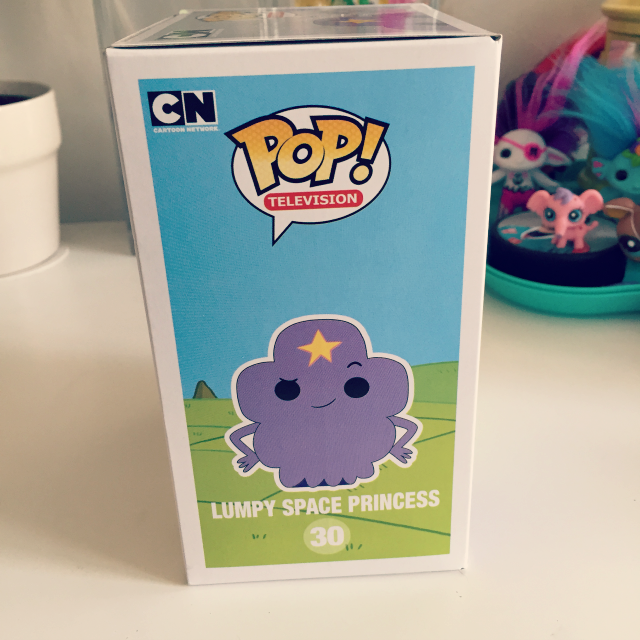 Last time I was in the store I had looked for the Lumpy Space Princess Funko but they didn't have her. I was happy to find this time they did! I've been looking out for her for ages. 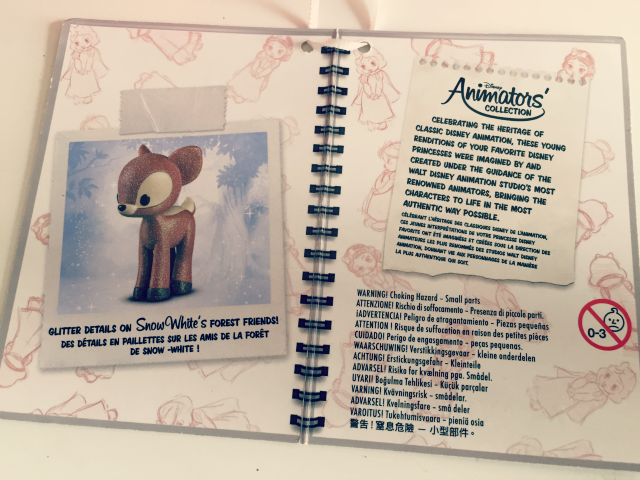 I found it interesting there's a sticker on the back that says that Funko's are for 14+. I hadn't noticed it before. I mean I know they're a collectable rather than a toy but still. Anyway! I love her. I can't wait until I get my new display shelves so I can display my Funkos better. The only thing is some slight defects. I feel like there needs to be a little more attention to detail as a couple of mine have had smudgy paint jobs or dark marks on them. Anyone else noticed that? 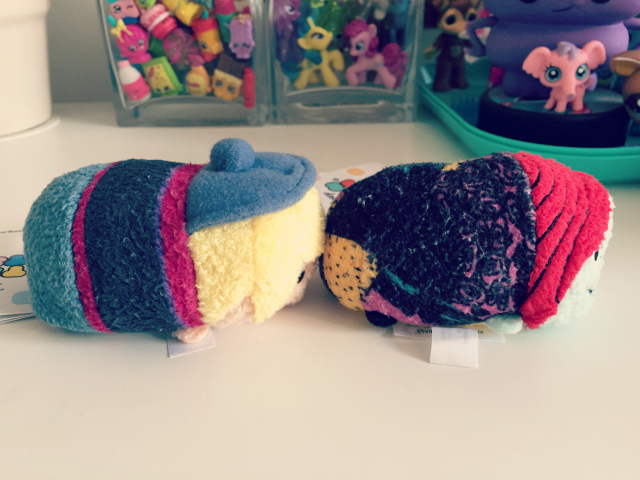 In the Disney Store I added to my Tsum Tsum collection. 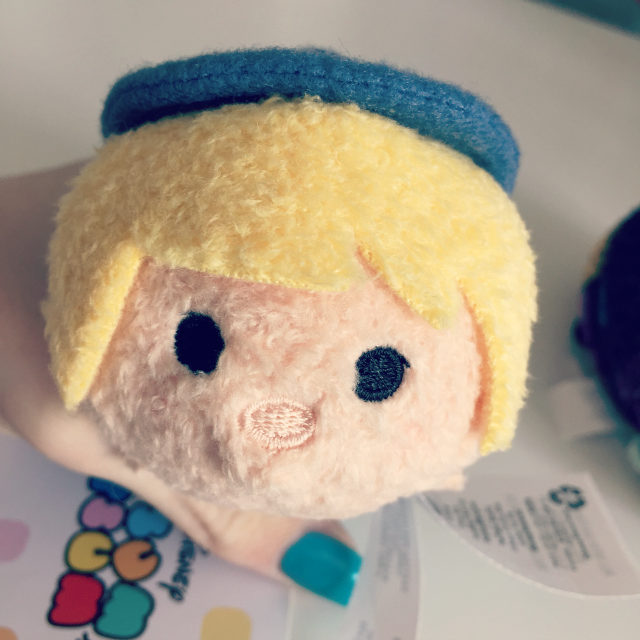 I FINALLY found Kristoff! 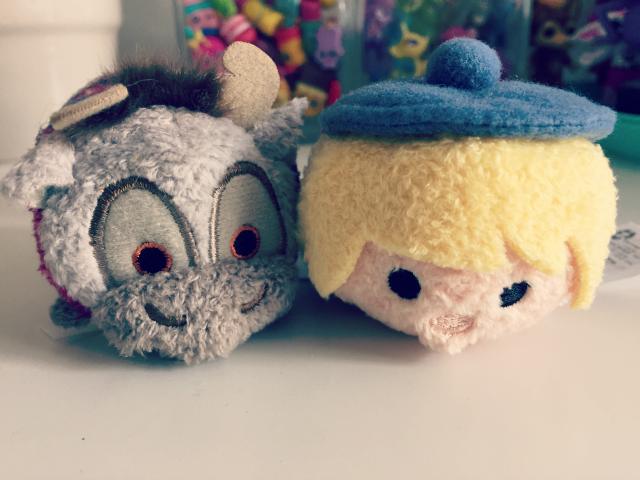 I was so happy as I've had Sven for quite a while and I wanted to reunite them but I hadn't found him up until now. 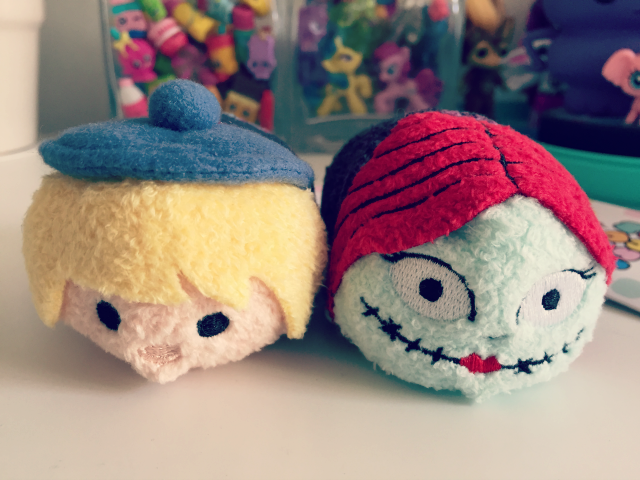 I also got Sally from The Nightmare Before Christmas. She's super cute. I love Sally's design as a character even if The Nightmare Before Christmas isn't one of my favourite movies. Weird, I know, since I grew up as a goth/emo kid. 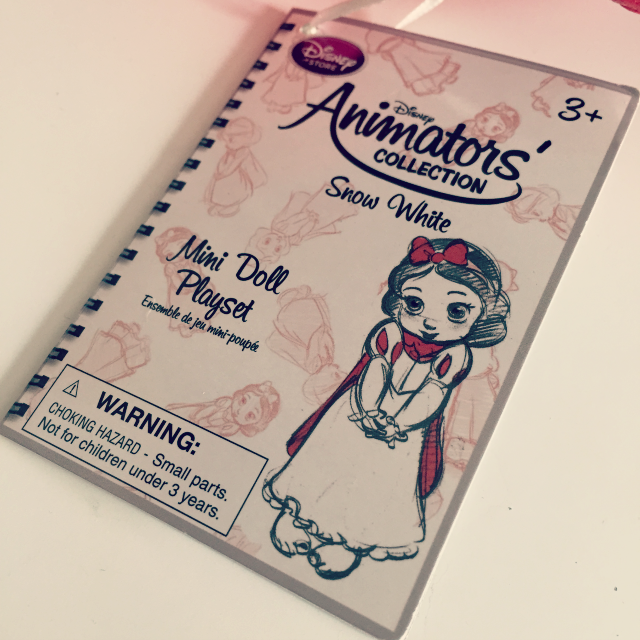 Lastly I got one of the mini Disney Animator Doll sets. I've been eyeing these up for a while and it was difficult to choose. 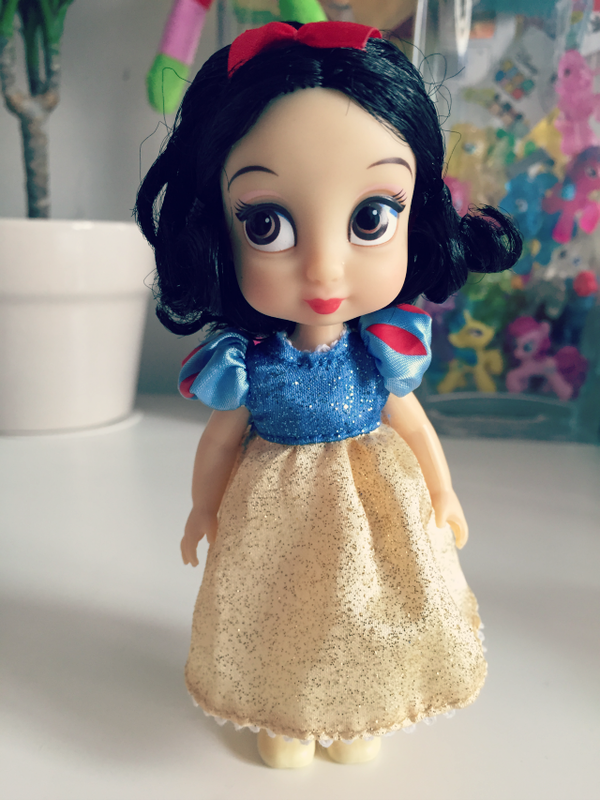 I ended up going with Snow White as I'm not sure I'll ever add the big version of Snow White to my collection as I'm not a big fan of the film but I think the doll is super sweet. 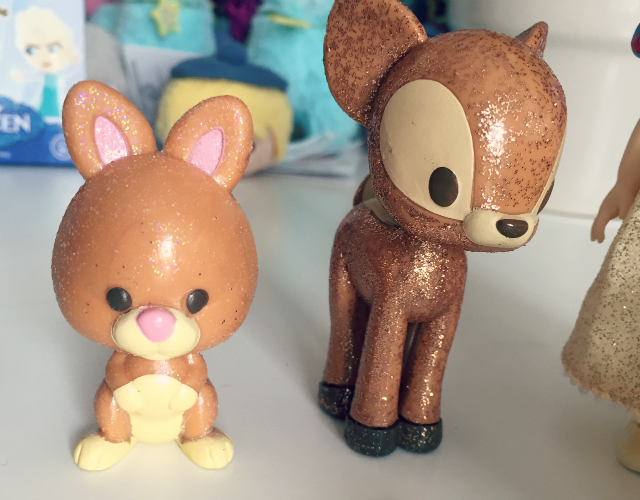 I love the little figures and the set but personally I would prefer the animals weren't covered in glitter. I think it cheapens them and is unnecessary. I love the little box you get the set in but I wish it had reusable backing so you could slot the pieces back in. It would make the box more useful, rather than having them loose in the box. I guess children don't care about that stuff. I love that her knees are jointed as well. Over all I just love these sets and I plan to get more in the future. 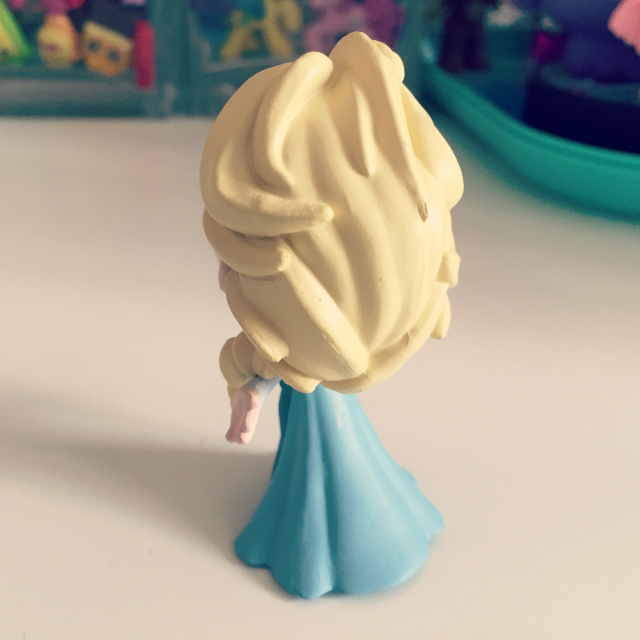 I think I'll get Rapunzel next. 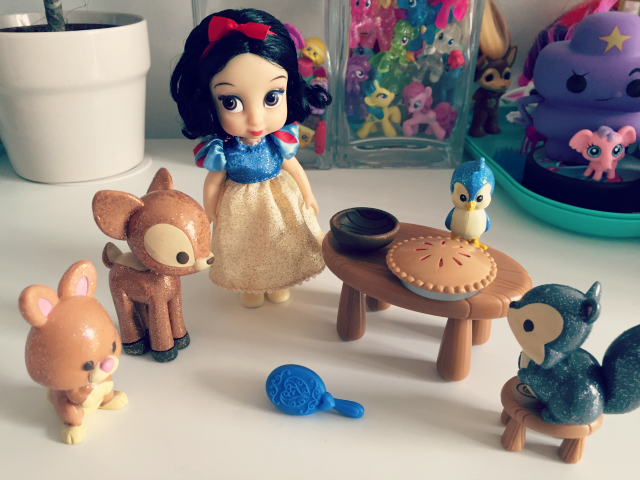 Eva got Belle and you get Mrs Teapot and Chip with her. They are super adorable! 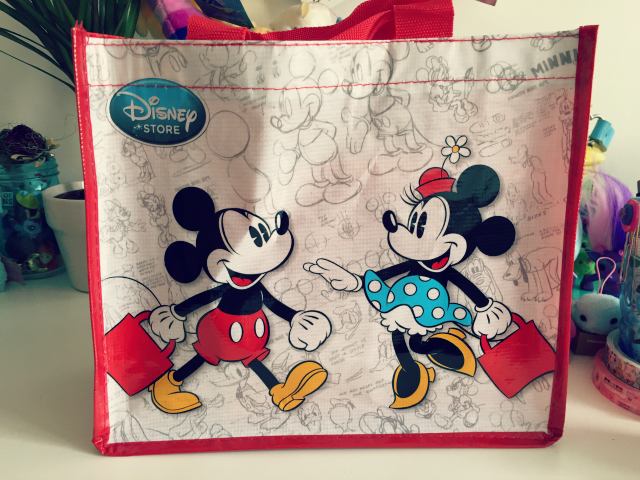 Also an honourable mention that I thought I'd include, even though it's not a toy, is the bag for life bag I bought. 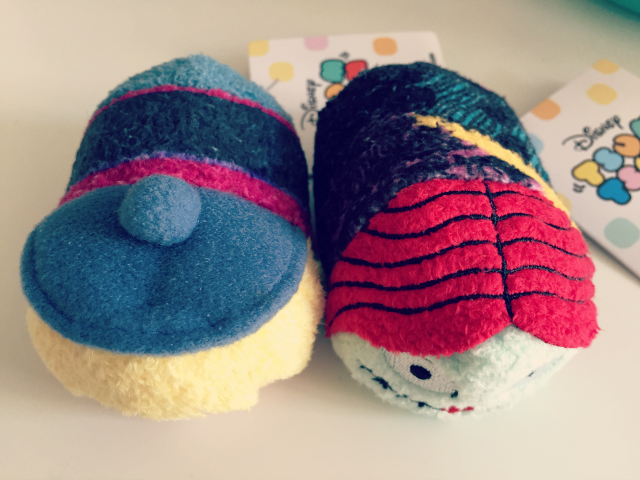 They are so cute and inexpensive. They have a few different kinds and sizes. 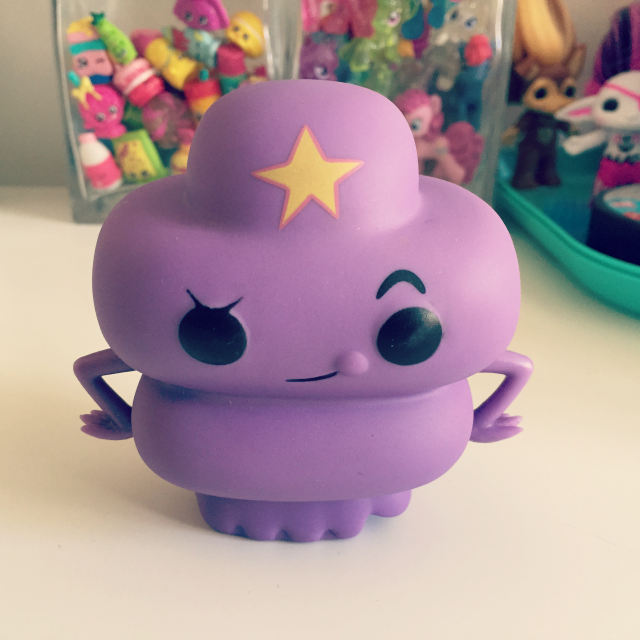 This particular one was £2 and was the perfect size for my little Animator Doll's box. 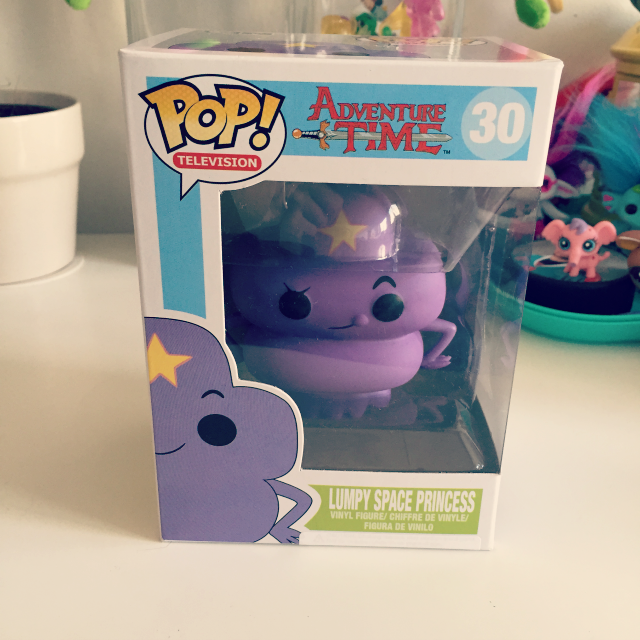 This last purchase is probably my favourite thing out of all the things I bought during the weekend. 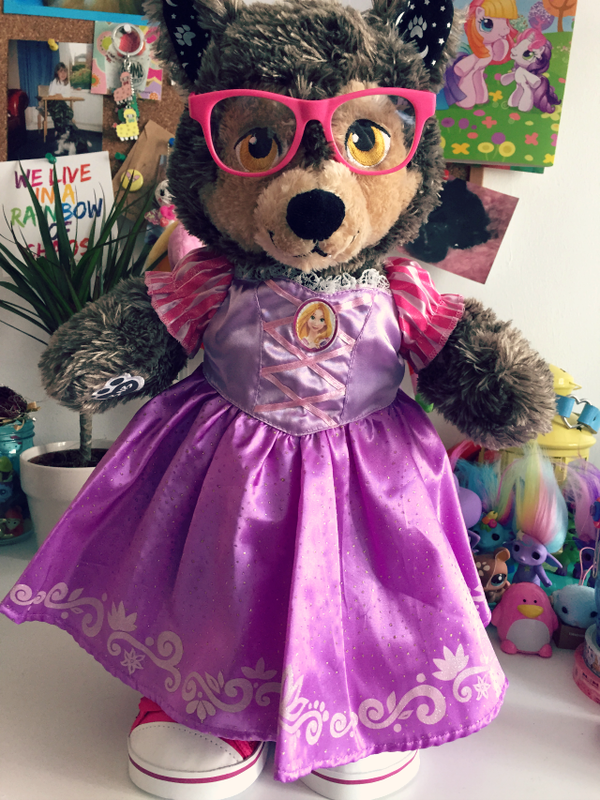 My Build A Bear wolf! 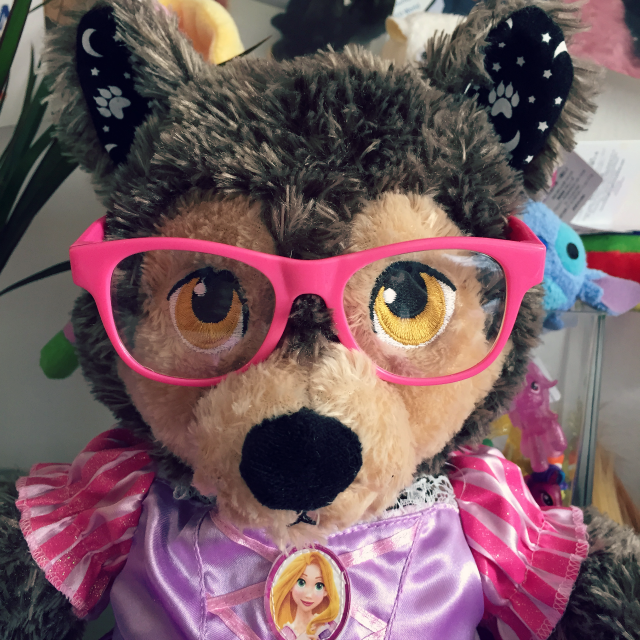 I decided my wolf is a boy but likes dressing in girl clothes sometimes. It just felt right. I use both male and female pronouns bust mostly male. Anyway! 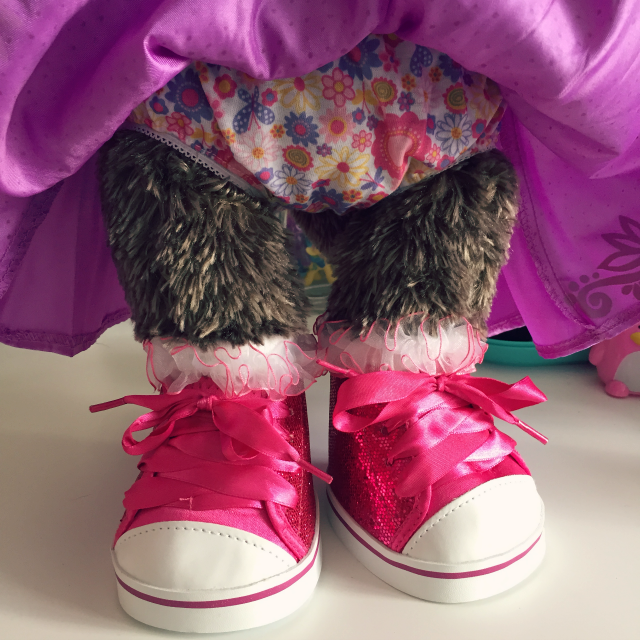 Here he is dressed in a Rapunzel princess dress, pink sequin/glittery baseball boots, frilly socks, flowery pants and pink glasses. I wish a little bit that I'd gotten him a blonde wig too but I think he looks awesome either way. 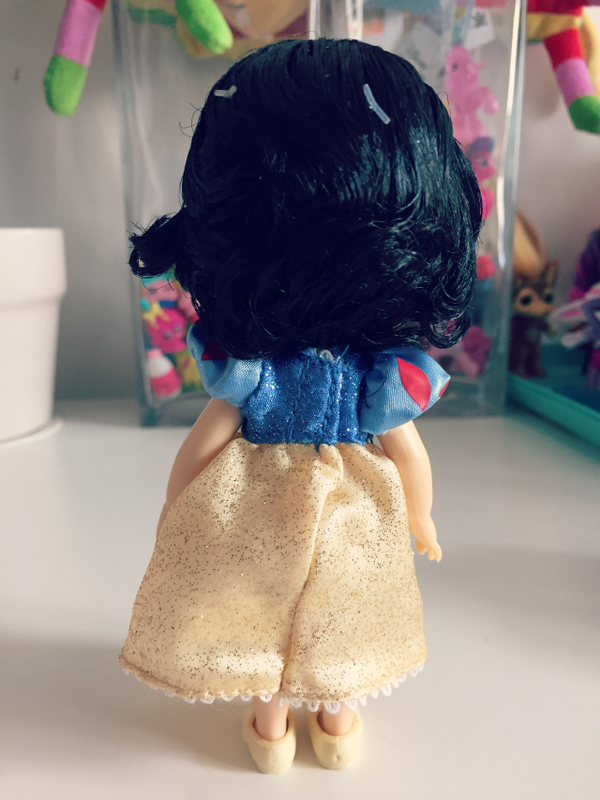 I also wish a little bit that the dress didn't have that picture of Rapunzel on it but oh well. I do plan to get him a more boyish outfit in the future too. I also need to name him. I'm thinking of naming him after one of the werewolves in a series I'm reading at the moment. Perhaps Dakota. Any suggestions? Aside from the outfit he's wearing I got him a Halloween outfit. 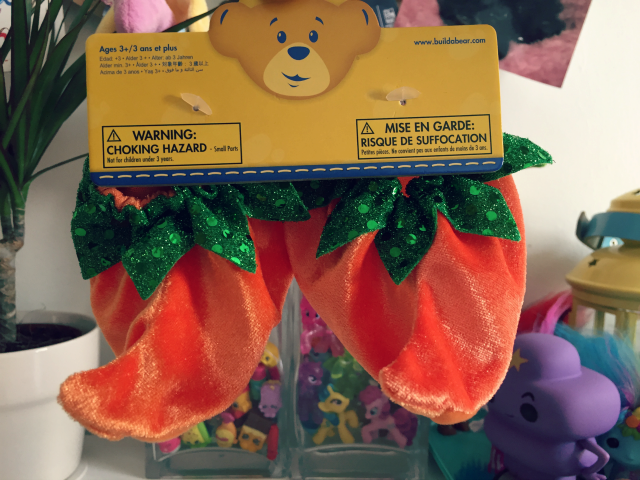 I'm decorating my room for Halloween so I figured I'd get him something to wear and he can be part of the decoration, plus the Halloween line is just adorable! It was hard to choose but I settled for this pumpkin outfit. I look forward to dressing him in it closer to the time and taking photos. I'm going to get a little more into the festivities this year, at least where decorating is concerned. Usually Halloween just kind of sneaks up on me. Anyway! 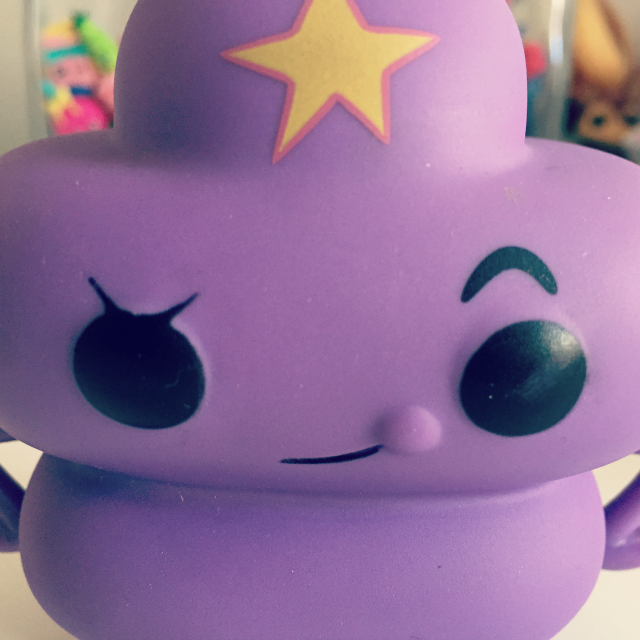 That's my toy haul from my latest stay in Belfast and the last of my posts about it. Sad times, I know. I look forward to my next stay or at least my next shopping trip to Belfast. 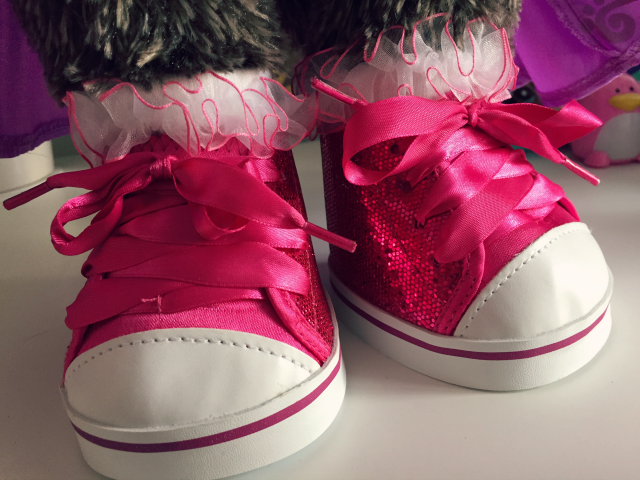 I can't wait to splash out in Build A Bear again! 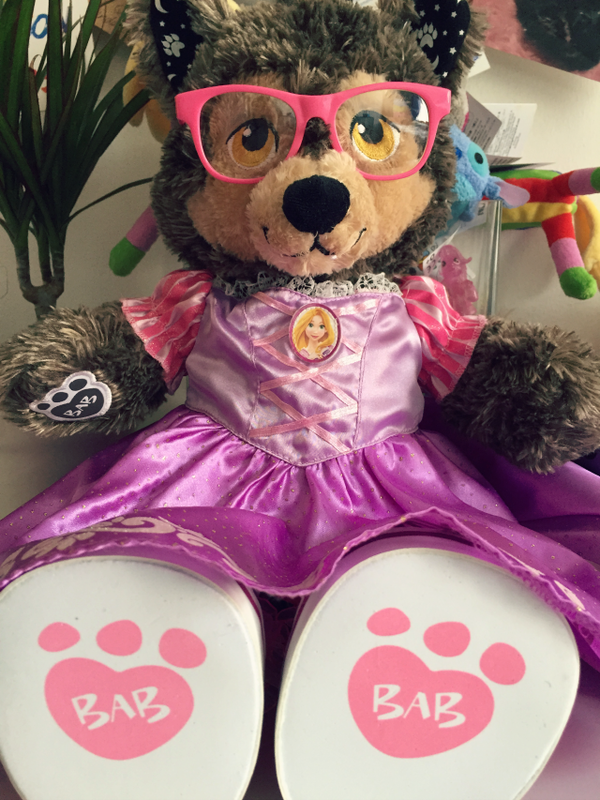 Do you have a Build A Bear? Isn't she just! 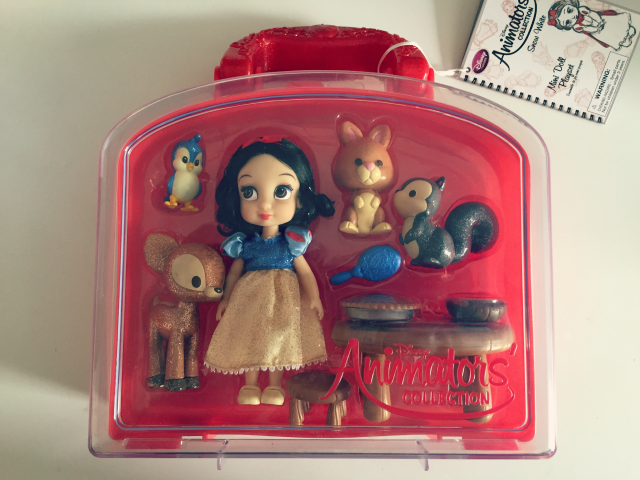 All the Disney Animator doll collection are... aside from Merida. She looks a little creepy. Though perhaps that's just me that things that. Her face has a little more personality. Well, I'm 25 so I wouldn't worry about it. They said they've had hen parties and even 50th birthday parties before. Never to old to build a bear! 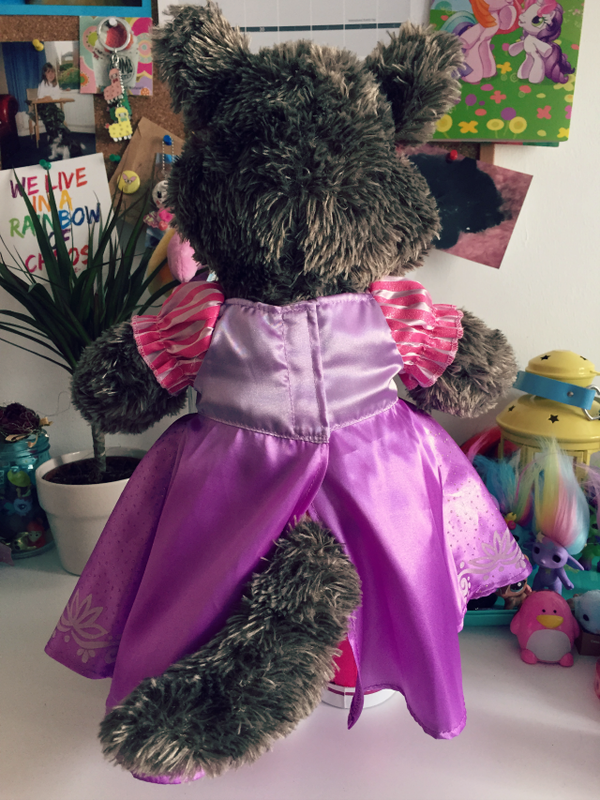 I do have a build a bear that I made when I was about 17/18 but it must be at my parents house...I'll have to hunt her out! Awh. 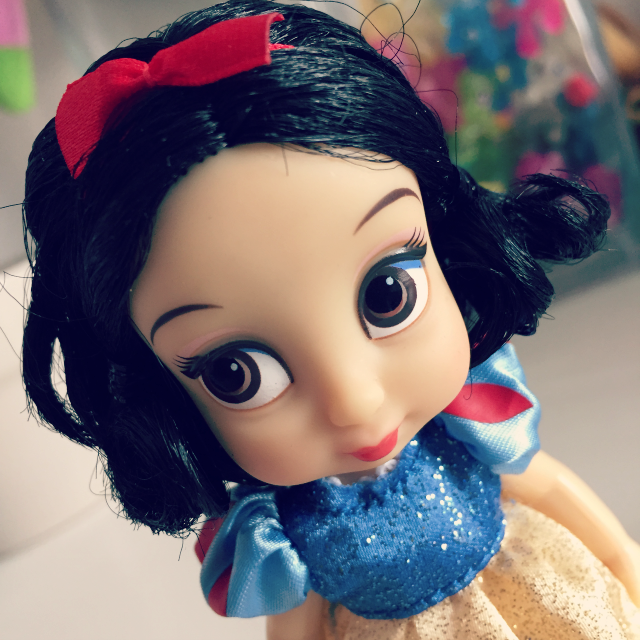 I love the dolls. 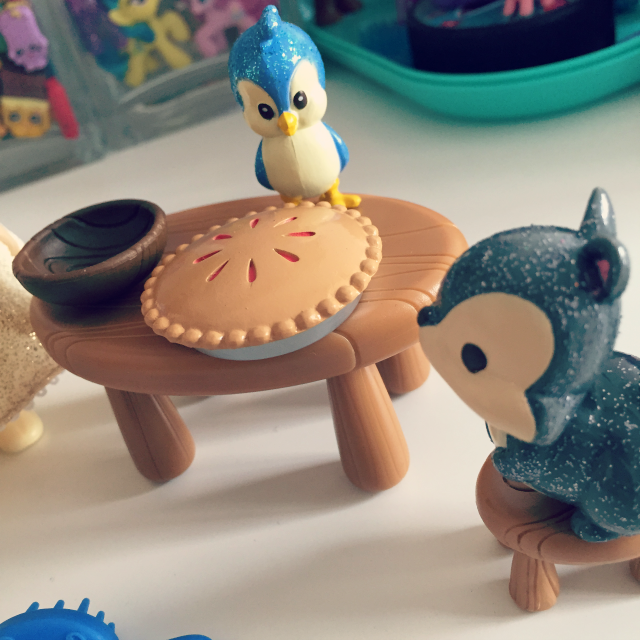 I like the sets with these little ones too though but I wish the animals weren't glittery. I don't know why they went with that. Still, they're cute!